Pineapples, pork, Poké, and Passionfruit – oh my! But there’s so much more to explore in Hawaiian cuisine. From Japanese fusion of Musubi and Poké, Kalua pork, the buttery macadamia nut, the mai tai, a unique form of shaved (“shave”) ice, to its seeming obsession with Spam, cookies and potato chips – at least to pawn off on tourists, we’ll examine some of the Hawaiian islands’ culinary traditions. It’s been a long time coming, but I finally made it to the state of Hawai’i. Was it worth the hype? It depends what you’re looking for. While the islands share many cultural similarities, not least of which involve their cuisine and the tough-to-pronounce 12-letter language (how are 12 letters so difficult? ), each island has its own character. 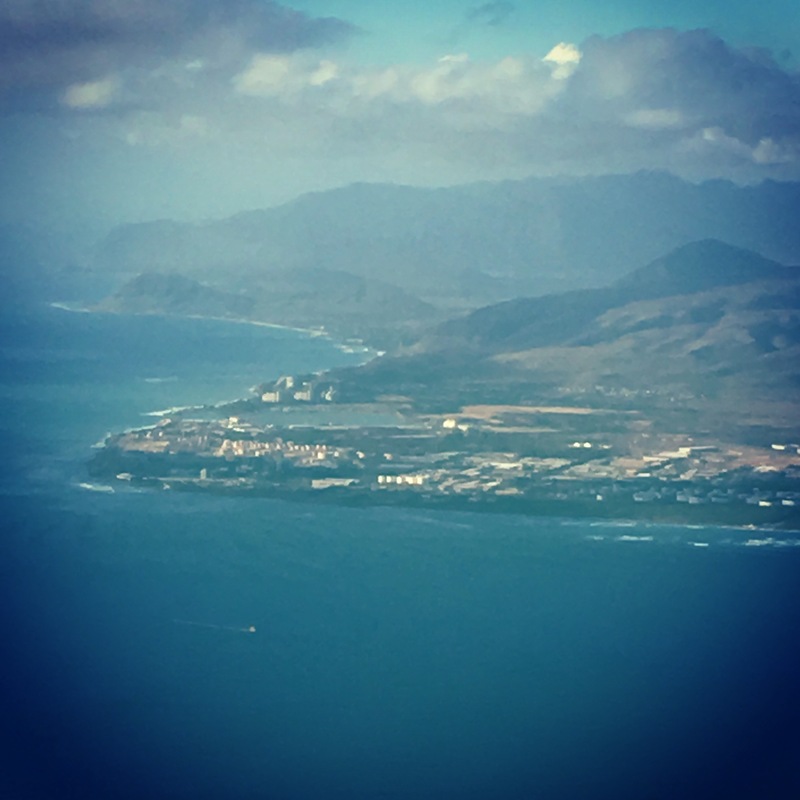 O’ahu is usually everyone’s first stop. 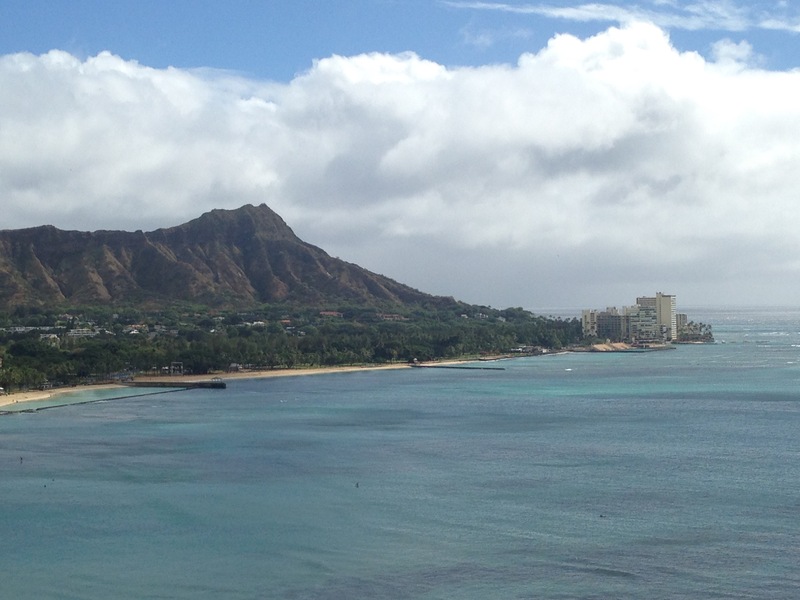 Its southern shore features bustling harbors and the prominent joint US base, and Waikiki just east of downtown capital Honolulu. Waikiki is more urban beach town than resort area, with high rise hotels, endless shops, restaurants, and the islands’ only real nightlife. But amazingly enough, for a city, it has a stunning beach with a wide swath of sand and calm, shallow teal waters. The “Big Island”, AKA Hawaii, lives up to its name in size and geography. 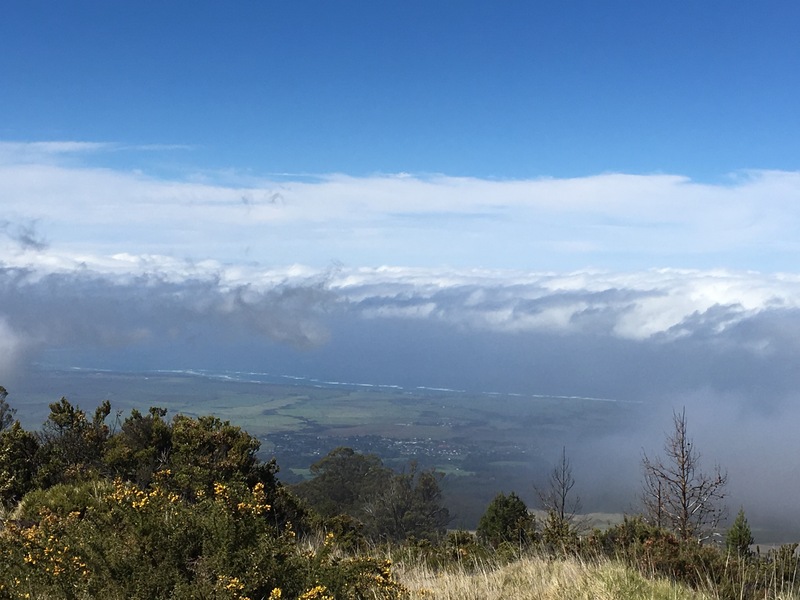 It is the youngest island geologically and boasts 13 different microclimates – including the sole chance for snow activities near the peaks of volcanoes Mauna Loa and Mauna Kea. The cities of Hilo and Kona bookend opposite sides of the island. The latter gives us the namesake for delicious, nutty Kona coffee. Heading just west is Maui. Maui is ridiculous. And by ridiculous, I mean paradise. It is much bigger than it appears on a map and is roughly barbell-shaped (ok, a barbell that maybe got melted with liquid magma and squished a bit). The volcanic Haleakala lost its peak long ago, and its crater beckons visitors. Nearby Maui are lesser islands Lana’i and Moloka’i (In case you’re wondering, all these apostrophes are there to guide your pronunciation. Each vowel gets its own syllable, so the “ai”, “ii” and so forth are not single-sound diphthongs.) 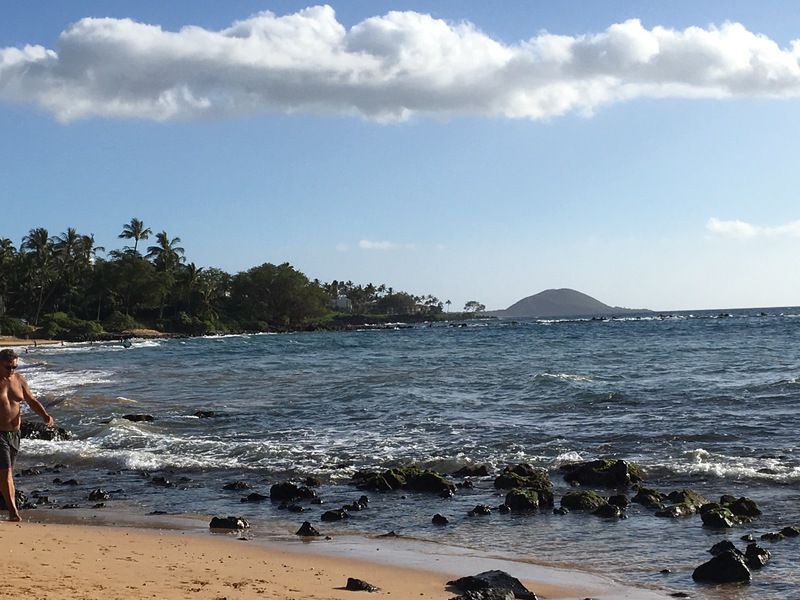 These islands are barely habited, but Lana’i has a few resorts. Hop over O’ahu to the west and you hit adventurer’s paradise, Kaua’i. You will hit the most chickens and roosters per capita, thanks to an unfortunate typhoon that allegedly freed chickens used for cockfighting, and so they procreated like…bunnies? Good thing it’s now the Year of the Rooster! Ok, island intro over. On to the food! Ok, so when you are a chain of volcanic islands rising tens of thousands of feet from the sea floor and nearby deep blue waters hosting some of the biggest and best deep sea fish, you know you’re going to have an abundance of the good stuff. Tuna, tuna, tuna. White fish, like mahi mahi. Shrimp. Simply grilled is more than enough, but the shrimp trucks that dot O’ahu’s north shore showcase many styles of preparation. Skewers with garlic butter or soy and pineapple served over a bed of rice is a cheap and delicious meal. A Western cultural symbol of hospitality, pineapples and Hawaii are as synonymous as Germany and bratwurst, or Japan and Cherry blossoms. Pineapple plantations aren’t quite as prevalent as they once were, but they still are a huge export and source of Hawaiian pride. You can even find wine made from pineapples – and it’s pretty tasty. dish, there’s just something about the macadamia nut that is always a treat. Perhaps Hawaii’s signature dish, poké is Hawaii’s answer to ceviche. With a soy-laden, teriyaki-like marinade, fresh cubes of raw Ahi tuna and onions, along with optional specialty ingredients are coated with so much flavor. I could eat good Poké every day myself. These nifty little sushi-like rolls filled with an array of flavors, most often as Spam, fried Spam, or edamame for you vegetarians, are sold at hole-in-the wall Japanese shops throughout O’ahu, particularly in the cities of Honolulu and Waikiki. Unrefrigerated, you’ll want to buy them in the morning to enjoy for an early lunch or mid-morning snack. 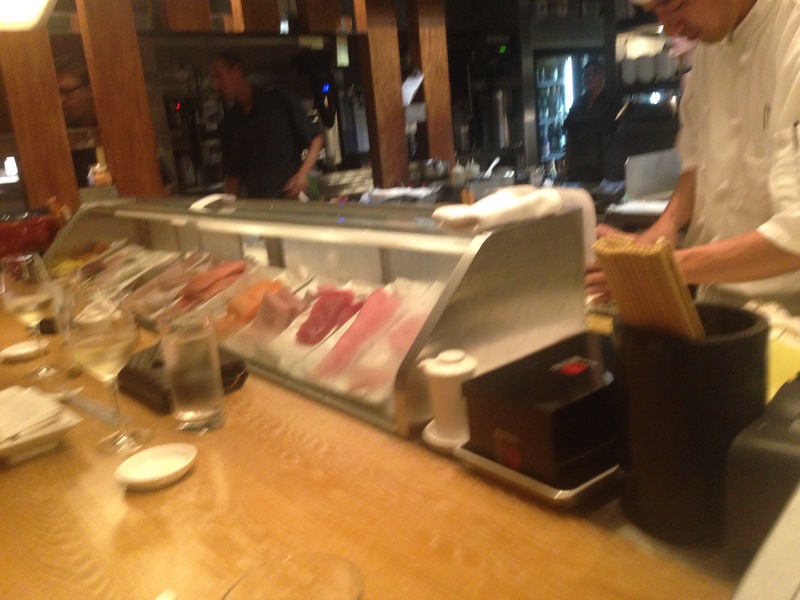 Of course, if you’re looking for more pure Japanese cuisine, sushi spots and ramen bars abound. 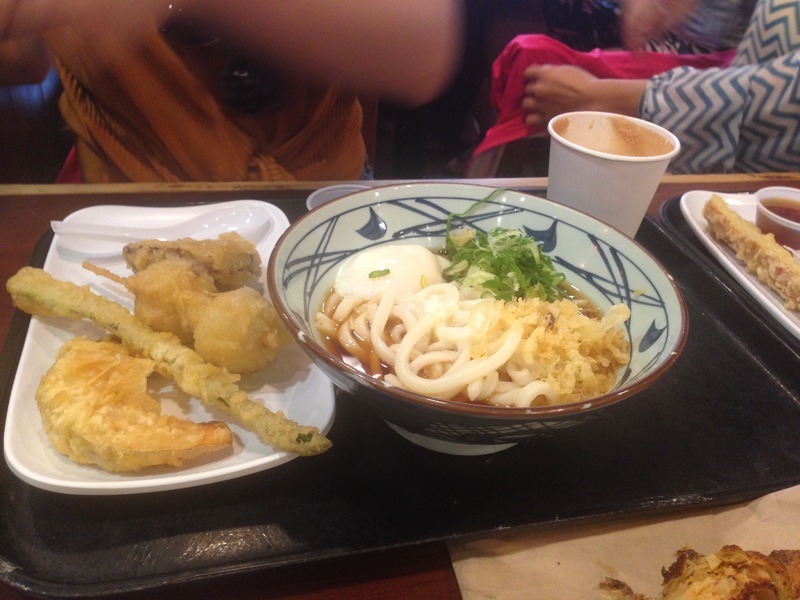 My friends raved about hotspot Marukame Udon in Waikiki that is never without a line snaking outdoors – even in a downpour, which was the case when we visited. Nope, it’s not a typo, in Hawaii, it’s always “shave ice” and not “shaved ice.” That bugs the grammar nut in me, but decorum flies out the window once I’ve had a few bites of the good stuff. 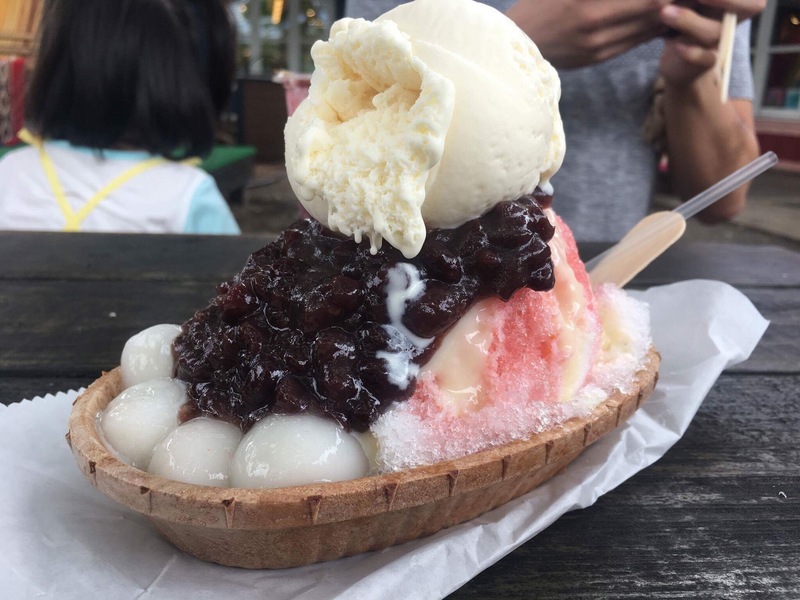 Combining traditions from various Asian nations, this shaved ice is nothing like the sno cones or Italian ices that come to mind. The ice is so finely shaved it more resembles fluffy snow at low temperatures and has an oddly creamy texture. Add to it any one of a variety of fruit or even edamame purées, and it would be refreshing and delicious in its own right. 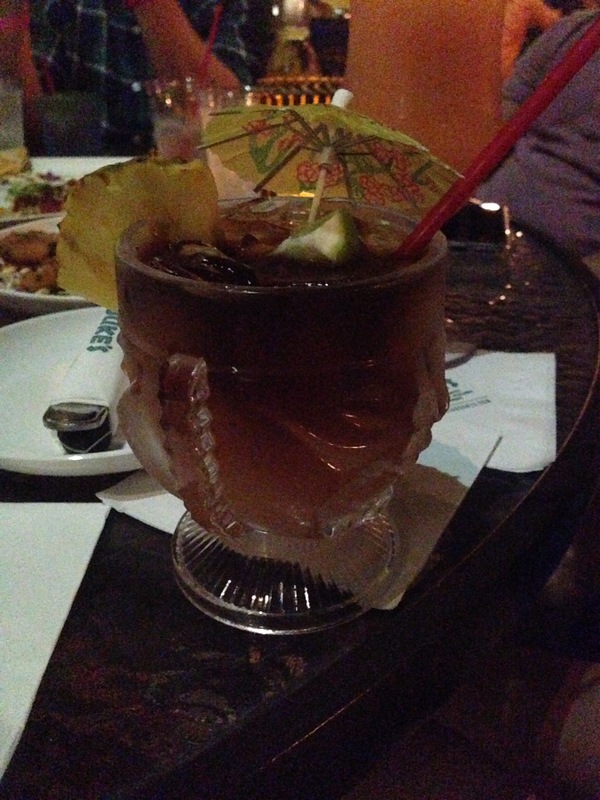 But in Hawaii, one shouldn’t try it without going all out. Sweetened condensed milk is a revelation. Adzuki (red bean) seems another odd topping for the Hawaiian shave ice sundae, but its subtle earthy flavor is a nice balance for the sweet ice. Many other versions bury delicious vanilla ice cream in the volcano-like summit of shaved ice. Overkill? No way! 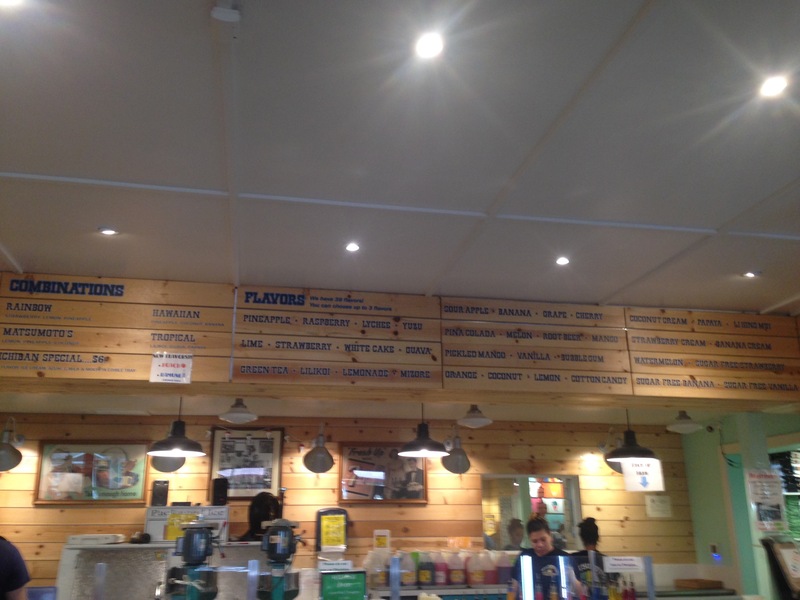 The ice and ice cream are like my sister and me – same components, different flavors. But we work well together (most of the time). For an over the top delicious Hawaiian treat, that, much like a banana split, should be shared among friends, try the Ichiban at Matsumoto’s Shave Ice along O’ahu’s charming north shore town of Haleiwa. It features everything I’ve mentioned, plus a few chewy, tapioca-like Mochi to dip in the toppings, whipped cream, and it is served in an edible tray (it tastes like a cake cone/wafer cone). 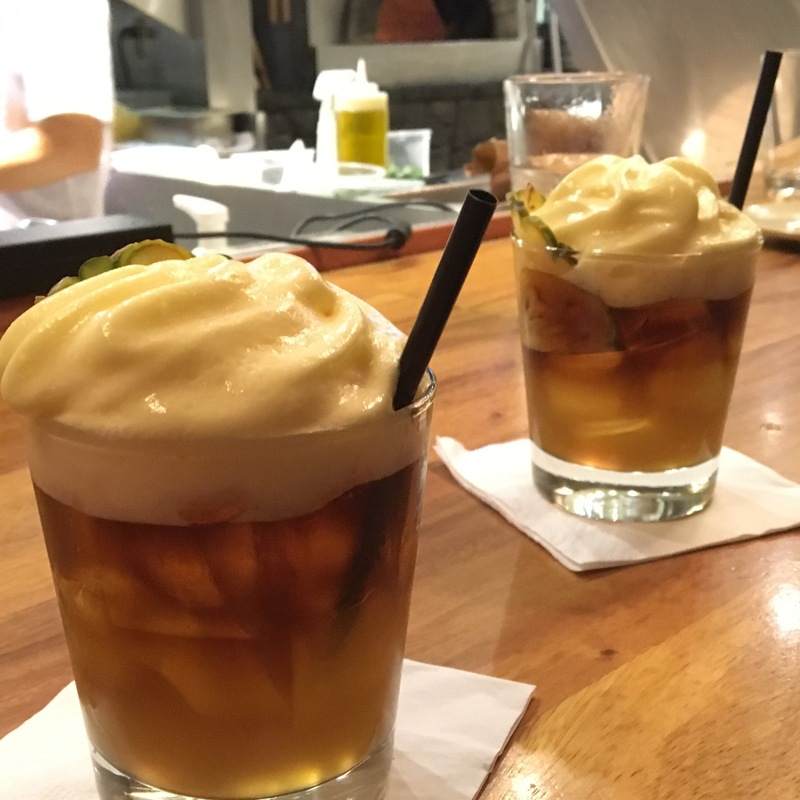 If you’ve ever been to a tiki bar , a Trader Vic’s or other Hawaiian-themed restaurant, you’ve likely been assaulted with a server upselling a premium mai tai. The bad ones are sickly sweet and cheap; the good ones are strong and yet somehow delicate. The best I tried was at Monkeypod Kitchen in Wailea on Maui. It was a perfect balance of dark rum and fruit, and its foamy passion fruit merengue topper was an outstanding addition. All this talk of Hawai’i is making me crave a mai tai and Poké and an ocean-front beach chair in Maui. The lady can dream…and you can plan your next vacation, even if it’s just a trip to your nearest Hawaiian restaurant.